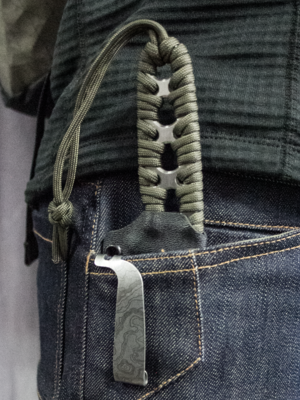 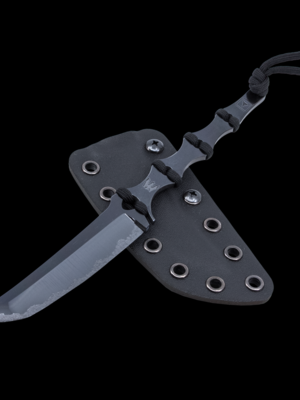 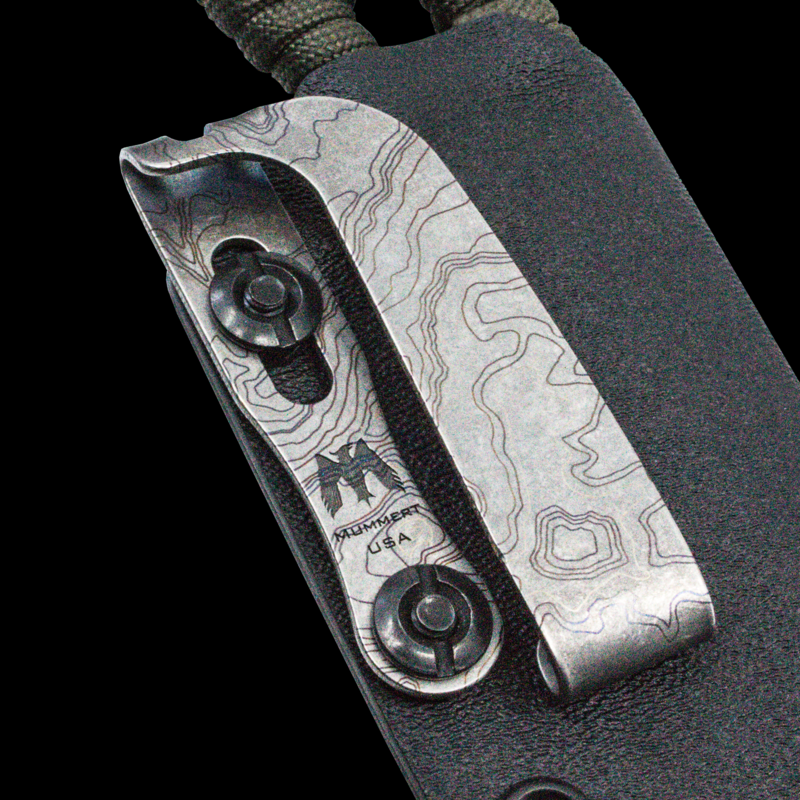 Not happy with the current offerings for high strength and low profile sheath retention, Marc Mummert designed the simple and strong Ti Clip. 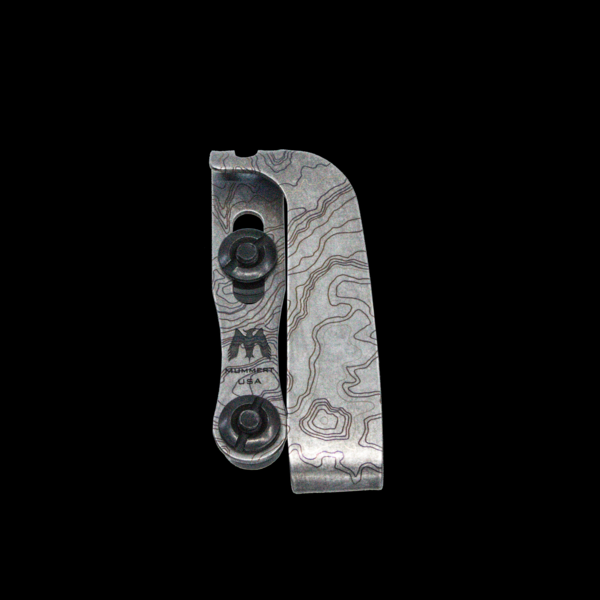 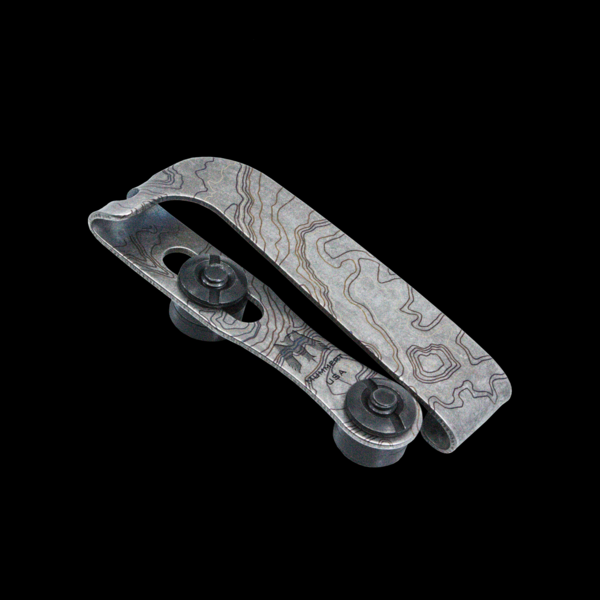 Custom made out of 6AI-4V titanium, the Ti Clips are hand bent under extreme heat providing solid retention that is guaranteed for life. 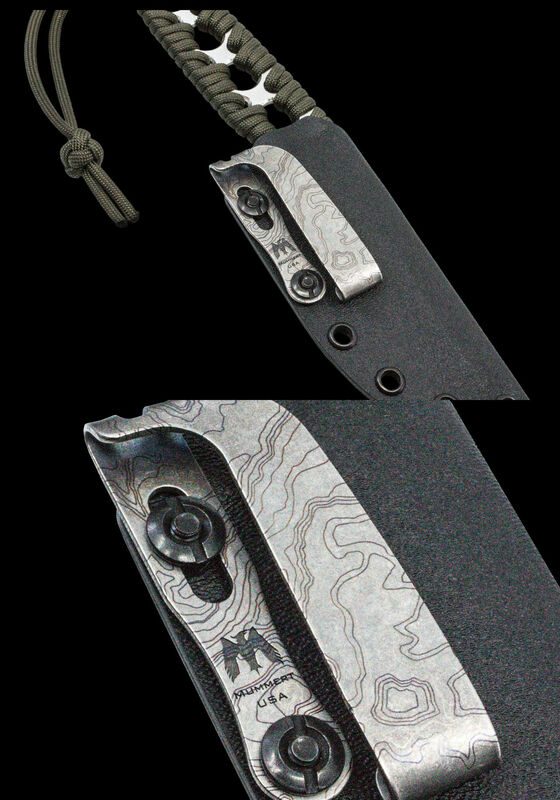 The design is ideal for IWB as well as pocket carry, and the low profile design helps the tool disappear from sight. 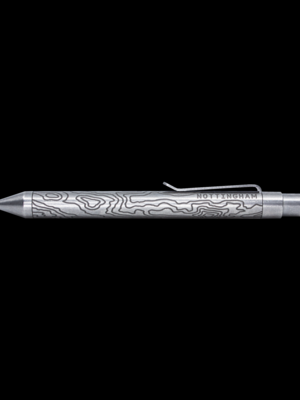 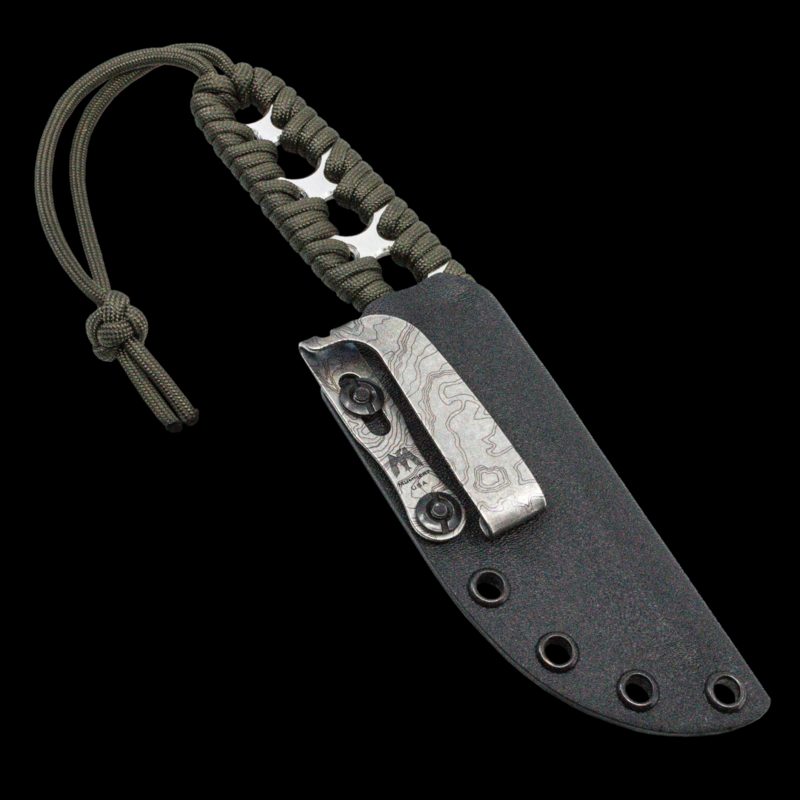 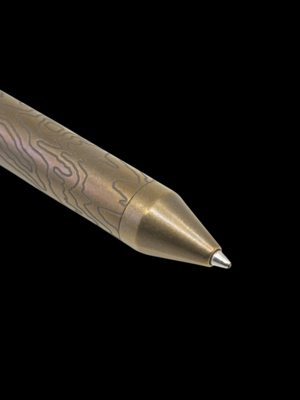 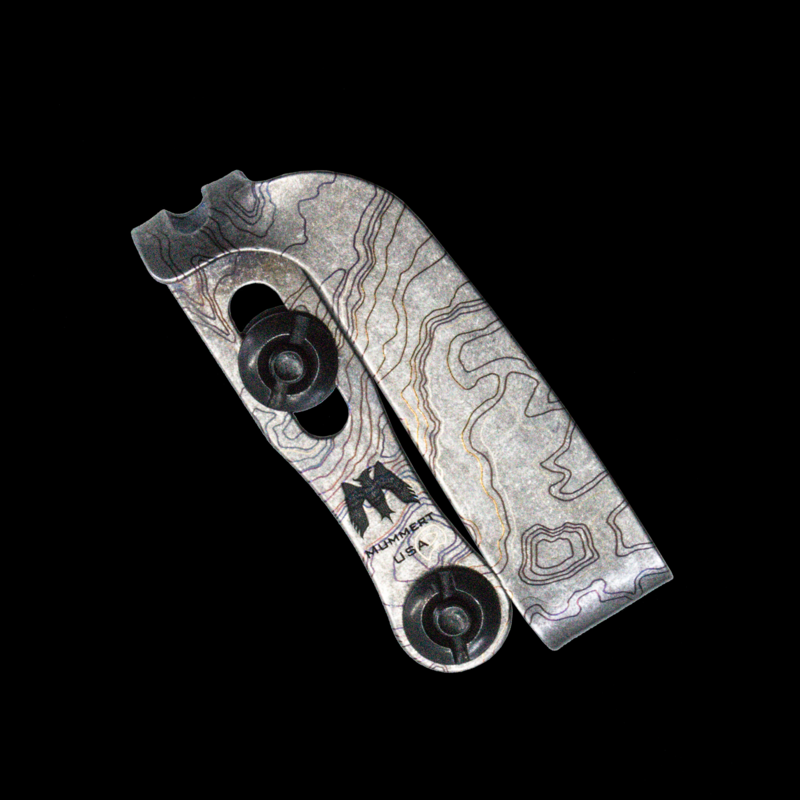 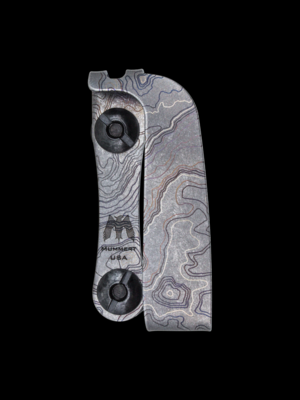 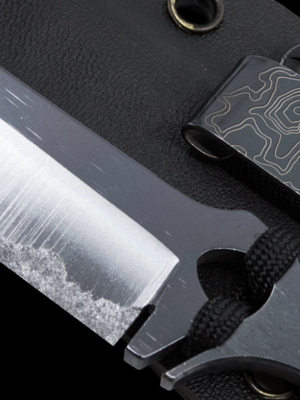 Fitting 1’ to 1.5” hole spacing is compatible with most sheaths Our edition comes with our signature topo pattern lasered onto the clip body.